I was not really a big fan of butternut squash until last winter. Not that there is anything wrong with it, but I had only ever had it baked or steamed with some butter. BORING! So, I decided to try adding butternut squash into different recipes. 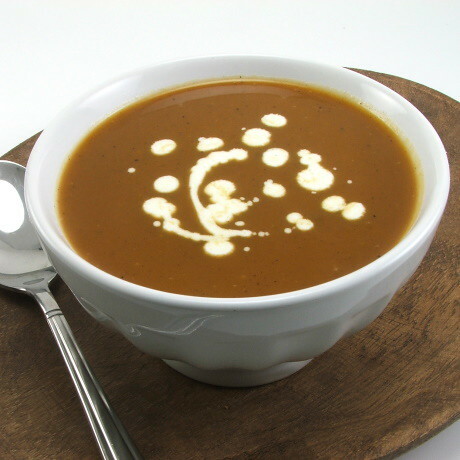 I figured out pretty early on I liked butternut squash best in creamy applications, and that is when I discovered a whole universe of butternut squash soups. 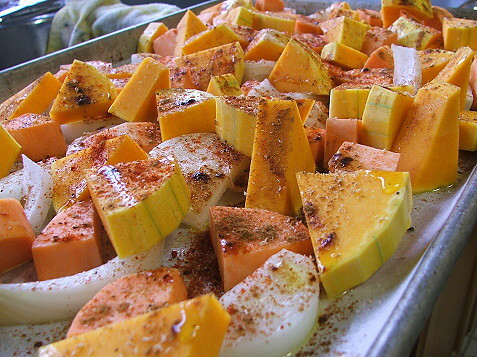 Many of the soups called for boiling the squash, but a few roasted it. The roasting is key. You get so much flavor, so much natural sweetness and rich color from roasting. I added some sweet potato and sweet onion to carry on with the sweet theme. To all that I also added a good splash of maple syrup to round out the flavors and add a subtle aromatic note. 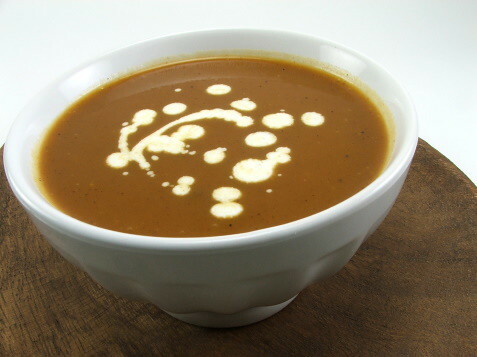 This is a bowl of Fall. Heat the oven to 400 F and line a sheet pan with parchment that has been sprayed with non stick spray. 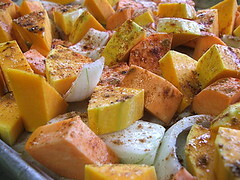 In a large bowl mix the squash, sweet potatoes, onion, olive oil, cinnamon, nutmeg, mace, and smoked paprika until everything is evenly coated. Season with salt and pepper. 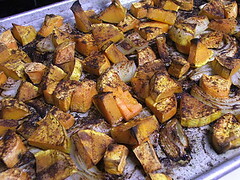 Spread on the prepared baking sheet and roast until the squash and sweet potatoes are very tender, about an hour to an hour and fifteen minutes. During the last twenty minutes of roasting heat the chicken stock over medium heat until it simmers. Reduce the heat to low and cover with a lid. 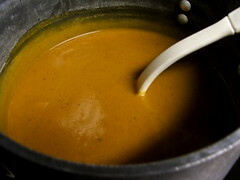 Working in batches, add the roasted vegetables to a blender and add a few ladles of stock. Puree until very smooth. Add the puree back to the pot with the remaining broth. 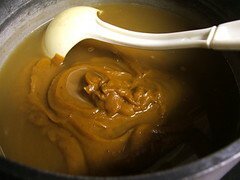 Stir in the marsala or sherry and the maple syrup. Bring to a simmer. 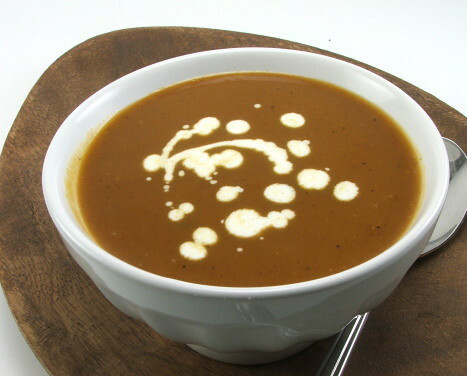 Serve with a drizzle of heavy cream.